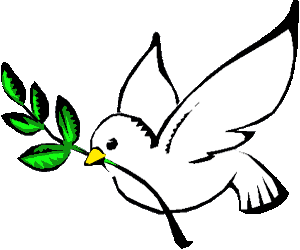 In case you missed it, the International Day of Peace was celebrated recently. Its official date was September 21, and the word is there were “festivals, concerts, a global Peace Wave with moments of silence at noon in every time zone, and much more.” But I think the word wasn’t spoken very loudly. In 1981, when Peace Day was unanimously and officially established by the United Nations, there were plenty of signs it might not easily gain traction. Ronald Reagan was inaugurated — which brought us that “peace through strength” business, demonstrated by bombing Libya and selling arms to Iran for the Contras. President Anwar Sadat was assassinated in Egypt and a few months later Israel annexed the Golan Heights. It’s been pretty much downhill ever since. Still, Peace Day ought to have its day. In areas where it does get celebrated there’s a lot of dancing in the streets, lighting of candles in windows and — most peaceful of all if you ask me — moments of silence. It’s hard to commit violence when you’re keeping quiet. Or, for that matter, if you’re dancing in the streets instead of blowing up things. I think we shouldn’t give up on Peace Day. We now have the word from Iranian President Hassan Rouhani saying he has some interest in peace, and our President Obama saying the U.S. would like peace, and maybe Iranian-American relations would be a good place to start. Mr. Obama admitted right off that Peace Day wasn’t always historically possible. “The idea that nations and peoples could come together in peace to solve their disputes and advance a common prosperity seemed unimaginable” before the U.N. came into being, were his exact words. So let’s hear it for Peace Day. Even if it’s not yet quite gotten its day.